Deniz hails from Heidelberg in Germany. He is a staff member of QUT, seconded to Cambia as an Analyst Programmer. Previous roles in Australia and Germany have given him extensive experience in systems engineering, software development and applied bioinformatics in both academic and commercial environments. 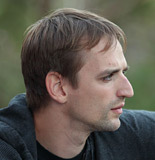 He holds a double degree in Computer Science and Bioinformatics from the University of Bonn, Germany with a strong focus on distributed computing and bioinformatics.